as accurate and useful as possible, we've significantly enhanced the quality of more than a thousand 3D landmarks around the world, making it easier to compare the digital map to the physical landscape. For example, take a look below at the enhanced detail for the 3D model for Piazza del Duomo in Florence, Italy. Say, you're looking out your hotel room window in Florence for the first time; it's much easier to get a sense of your location by simply comparing the shapes of buildings on the map to what you see out your window. By combining 3D buildings with other Google Maps features like Street View and driving directions, you'll have the most advanced "tourist map" on the planet. Here are some additional examples of the beautiful 3D landmarks we've recently updated. 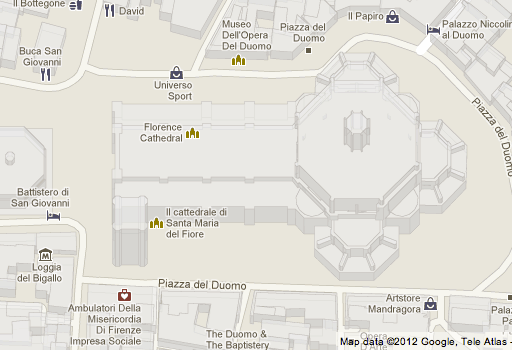 This will be available soon on Google MapsGL as well. 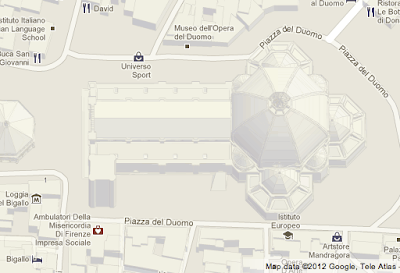 There are several more 3D landmarks to see, so start exploring! Landmarks have often served as one of the most useful ways to help navigate an unknown area. For example, a Parisian might tell a tourist, "the cafe you're looking for is just north of the Eiffel tower" because the Eiffel tower is easy to spot and everyone knows how to get there. In our ongoing effort to make Google Maps as accurate and useful as possible, we've significantly enhanced the quality of more than a thousand 3D landmarks around the world, making it easier to compare the digital map to the physical landscape.